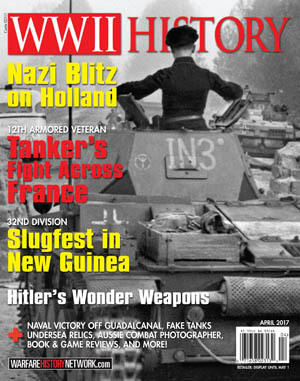 As World War II turned against Hitler, he became desperate to develop weapons that might turn the tide. Some of the technologically advanced systems proved to be devastating. Wright-Patterson Air Force Base near Dayton, Ohio. 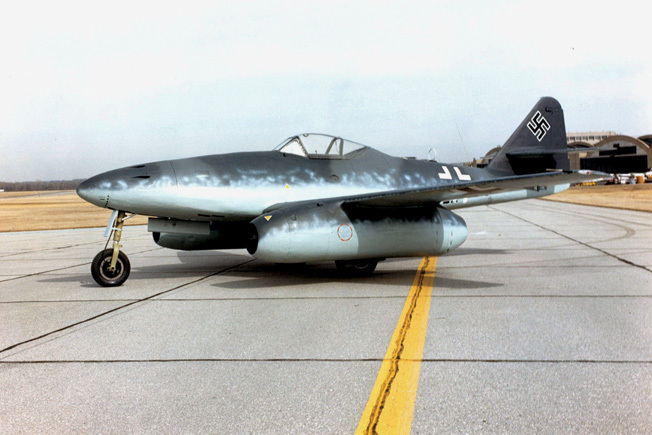 When Luftwaffe test pilot Hans Fey defected to the Allies on March 31, 1945, he flew this Messerschmitt Me-262 from Schwabisch-Hall to Frankfurt’s Rhein Main airfield. 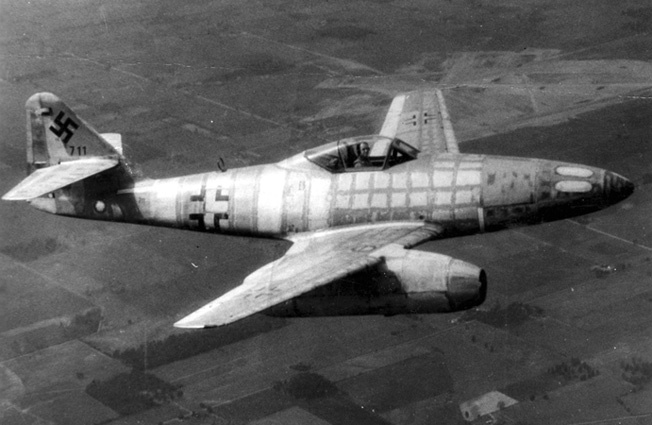 The Arado Ar.234 was designed as a twin-engine jet bomber. Although it entered service in July 1944, numbers were limited and the plane did not participate in combat operations until January 1945. This example is on display at the Smithsonian’s Udvar-Hazy Center. 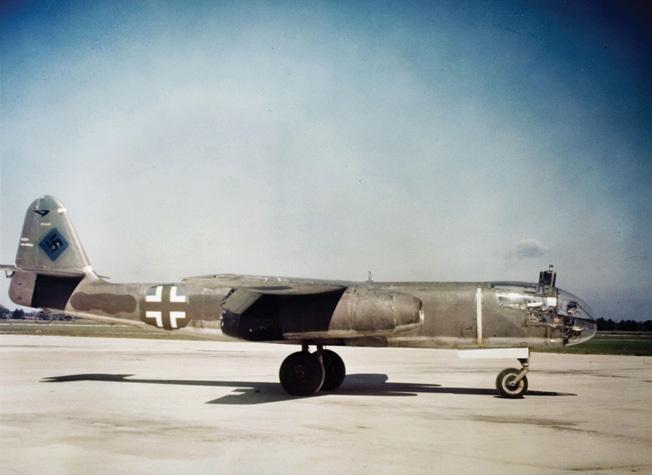 The V-1 flying bomb was powered by a pulse jet engine with just enough fuel to reach its destination. As the V-1 ran out of fuel, it plummeted indiscriminately to earth and exploded with devastating results. 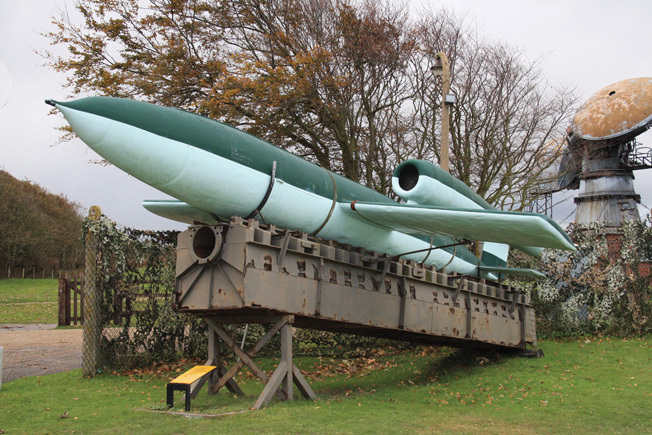 Many V-1s hit London and other British cities, causing civilian casualties. 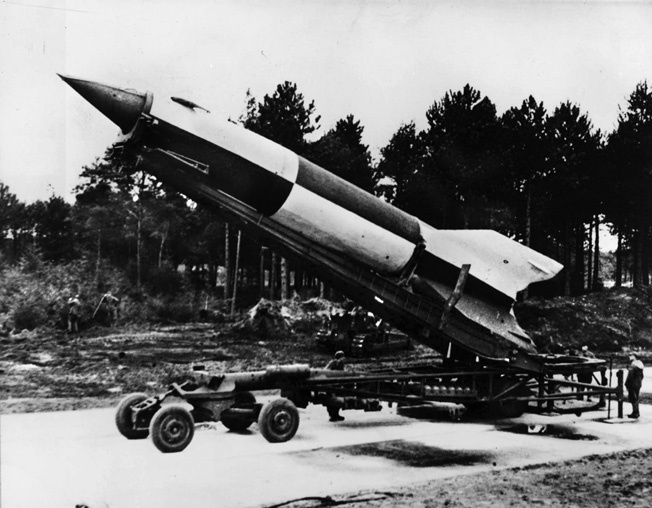 A German V-2 rocket is raised into launching position at Cuxhaven in the Luneburg District of Lower Saxony. 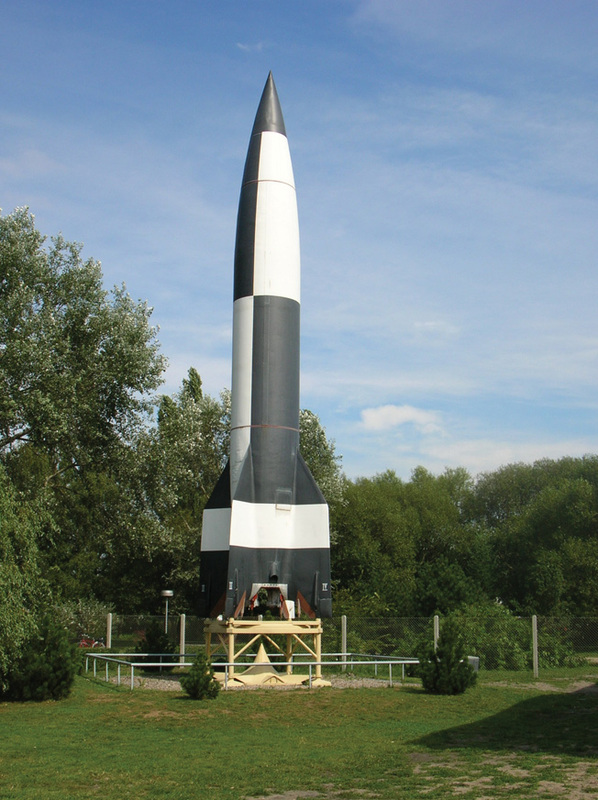 The world’s first intercontinental ballistic missile, the German V-2 rocket was used by the Nazis as a terror weapon during the closing months of World War II. This reproduction is on display at the Peenemunde Museum. collection of the British Tank Museum. country road near Kirovograd, Russia. to be changing the camouflage scheme. Although its 88mm high-velocity cannon was formidable, the tank was heavy, ponderously slow, and prone to mechanical failure in cross-country operations. 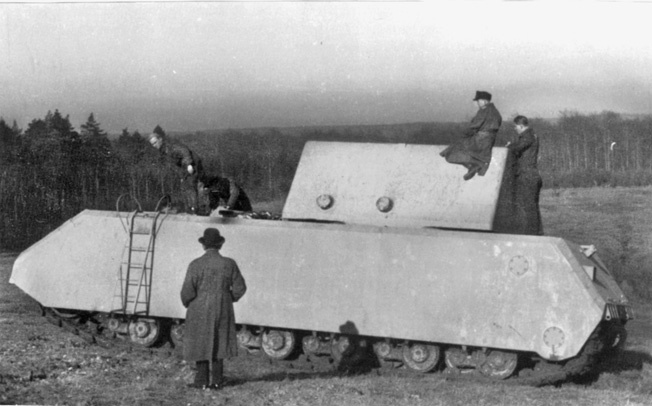 Engineers and dignitaries inspect the massive hulk of the Maus, an experimental tank of tremendous proportions. 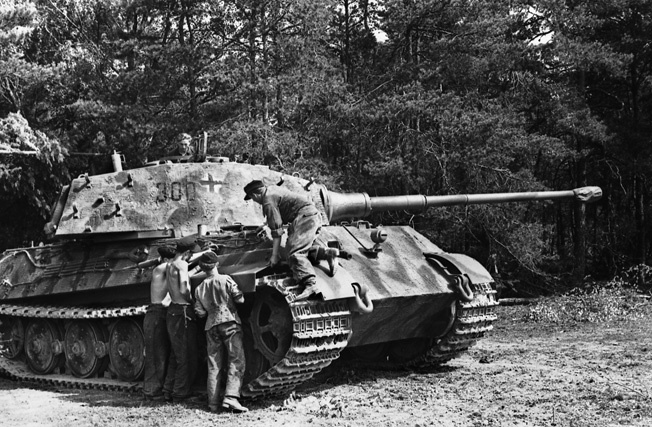 The concept of the Maus proved impractical, and only four prototypes were ever built. 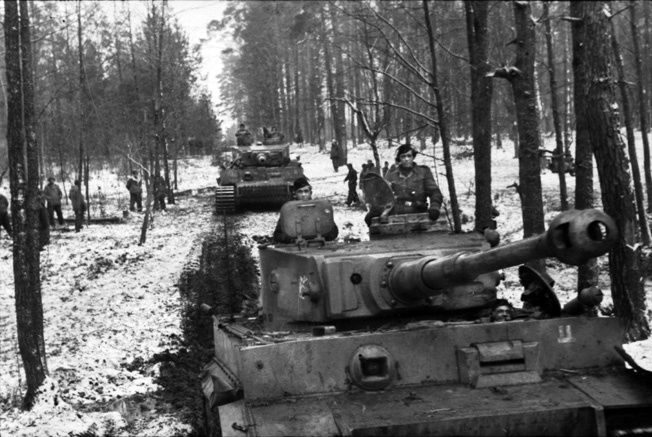 Tags Adolf Galland, Adolf Hitler, Albert Speer, Allies, Allis, American, antitank gun, Antwerp, Ardennes, ardennes battle, Ardennes Offensive, armored fighting vehicle, artillery, Axis, Battle of Britain, Battle of the Bulge, battlefield, Belgium, blitz bomber, Bombing of Germany, Britain, British, Calais, Camouflage, Canadian, cannon, Cata, catapult, CIA, cod, Crete, Daimler-Benz, Das Reich, EAM, Eastern Front, England, English Channel, Europe, fighter jet, Flak, Flying Bomb, France, French, general, general heinz guderian, German, Germany, Hand Grenade, Heinkel, Holland, Italy, kirovograd, Lenin, leningrad, london, luftwaffe, luftwaffe bomber, machine gun, Mary, Maus Tank, Messerschmitt, Model T, museum, Nazi, Nazi Germany, Netherlands, Normandy, normandy beach, OSS, Panzer, Paris, Pola, Porsche, POW, Prussia, RADAR, Royal Air Force, Russia, Russian Front, Saxon, Sherman Tank, Sicily, Smithsonian, Soviet Union, Spandau, spear, Tanks, Tern, the ardennes offensive, The Battle of Britain, the battle of the bulge, The Eastern Front, The Western Front, Third Reich, Tiger Tank, Tory, Troy, Tunis, Tunisia, Union, Walter Dorn, war in europe, waves, weapons, wehrmacht, Western Front, Wii, WIN, World War I, wounded, WWI, WWII, wwii history. This article should have also included the FRITZ-X and the He-293, robot controlled glider bombs uses with great efficiency against British and US shipping. UGS-18, for example, was attacked in October 1943 by Do-217’s of II/KG 100 using He-293’s as well as by HE 111’s armed with torpedoes from I/KG 26 and JU-88’s from III/KG 26.. These robot bombs, precursors to the Tomahawks of today, were used against other shipping in the Med as well as Royal Navy ships off the coast of France.